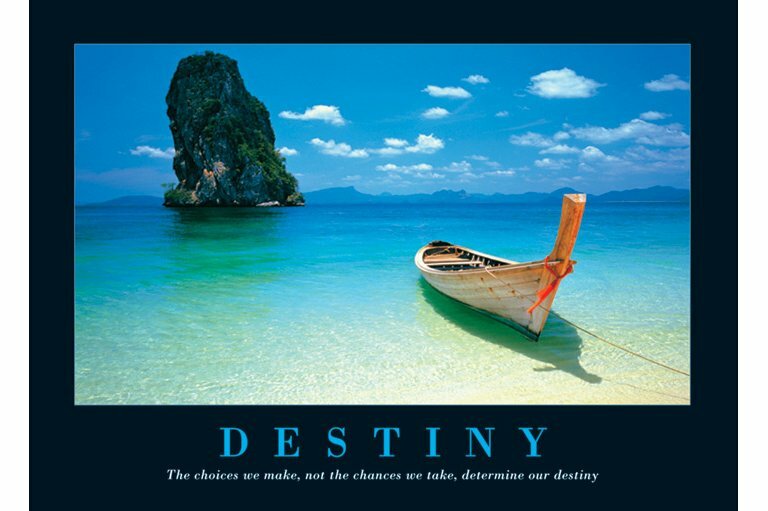 Your destiny is simply your path to working towards whatever you feel an urge to do or be in life (determined by your talents or what you imagine yourself doing during inspirational moments you feel in life – Part 3), but will only be actualized if you make a conscious choice to take action towards it. This puts your destiny very much in your own hands. To make it short, your choices and actions make your destiny. Your fate is then the result of what you’ve done from the beginning of your life to the present. If you’ve taken destiny into your own hands and overcame obstacles to achieve success, your fate is your success. Once your urge to do something is satisfied (If you don’t have that urge to move toward a goal for your life, refer to Part 3 and 4 of this blog for instructions), you AND your destiny is fulfilled at that point, and your fate is the end result of the actions you took to fulfill your destiny. Since everyone has different desires as individuals, everyone has a certain point and level where they could become happy and satisfied with the work they accomplished (or could accomplish), or the circumstances that they could place themselves in through their own efforts. For example, some people are happy just getting a good grade on a test, while others want to win all of the awards and be the star student. That is what determines how far you can go. It’s your own satisfaction and fulfillment, not the obstacles that make you feel that your goals aren’t possible. Do you see what I’m getting at? Now to get yourself into a concentrated frame of mind that’s conductive of success, simply sit down for about fifteen minutes and read something comprehensive, (something with directions or that has big vocabulary words to learn) without getting up, thinking about anything else, or losing your concentration. At the end of those fifteen minutes, you would have put yourself into a more concentrated and “funneled” mindset. This is because you have to use your mind to control your mind. That’s when you start pursuing things, and when you’re able to put your entire mind into whatever it is that you want to accomplish. It’s easy to keep the concentration going when you transition from the reading to your goal, and the only way for you to break it is by getting up, then thinking and doing something entirely different for at least a half an hour. You don’t really have to keep redoing the reading ritual for the same amount of time, once you did it the first time for fifteen minutes. The next time you can read and concentrate for ten minutes, and then even five. 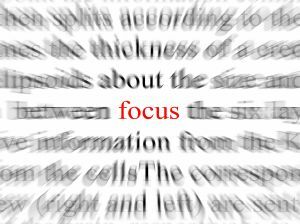 The key is to focus with something long enough to get your mind into a directed state of thinking, then applying that mind state towards a goal that you want to accomplish. The more you do this, the faster you’ll be able to focus your mind. But what if you’re talented at something, but you don’t enjoy it? What if you don’t really want to develop or use it towards the progression of your goals and dreams? How would you then go about beginning your journey to being discovered by the Universe and realizing your greatest potential? Brian, thank you for sharing your insight with so many others. I will continue to share your Blog with the youths and adults I work with. Keep up the good work.